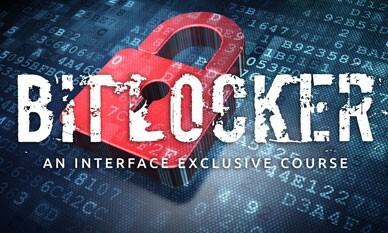 Exclusive course - taught by Mike Danseglio, creator of BitLocker! This 2-day instructor-led BitLocker training course teaches you everything you need to know about BitLocker. This course includes hands-on labs. These labs reinforce and expand on the instructor-led portion by having you actually deploy and operate BitLocker. You’ll practice techniques for setting up a BitLocker-enabled environment, implementing BitLocker on multiple system configurations, and recovering BitLocker after the detection of a possible compromise. Data security is an increasingly critical part of IT. More and more organizations require data encryption in order to meet regulatory security requirements. BitLocker Drive Encryption is a popular choice to meet these requirements. BitLocker is a highly effective and low-cost data encryption technology that’s built into Windows. But because of this strong protection, your organization must understand and carefully plan for BitLocker deployment to avoid data loss and system downtime. Although the labs focus primarily on Windows 10 and Windows Server 2012, the class also applies to Windows 7, Windows 8, Windows Server 2008, and Windows Server 2016. Anyone involved in planning, deploying, or supporting BitLocker. This includes CISOs, IT architects, system administrators, server administrators, disaffected college students, and technical support engineers. "One of the best instructors I ever had in a training course"
"Great lectures and the labs were on point." "Mike was very enthusiastic about the subject and was happy to answer all of my questions in depth." "Instructor very passionate and knowledgeable regarding BDE. Very strong sense of real world application of product." "good idea regarding access to training course video for 12months."